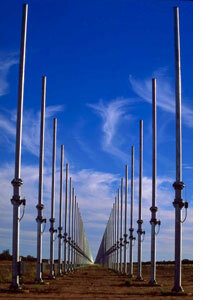 The invention of the Jindalee Radar System continued a long line of Australian inventiveness. Some of the inventions, such as the notepad and power board, were so simple they beged the question as to why they had never been invented before. Perhaps their invention could be attributed to the liberation from traditional thinking that comes from living in a multicultural society. Whereas other cultures will continue with practices because it is the way things have always been done, in Australia, things are done in a diversity of ways, which makes Australians more inclined to conceive of the best way of doing things rather than just holding onto the past. Some of the inventions, such as the stump jump plough, refrigerator and dual flush toilet, were in response to Australia's unique environmental conditions. Perhaps their invention could be seen as an example of how different environments present different challenges that require novel solutions. Some of the inventions, such as powered flight, nuclear fusion, wi-fi internet, penicillin and the Jindalee radar system, could be attributed to a willingness of Australians to collaborate across national boundaries rather than monopolise ideas for nationalistic reasons. By sharing their own ideas, inventors gained access to the ideas of others and were able to achieve what they otherwise might not have. Finally, some of the inventions, such as the hills hoist, ugg boot, wine cask and inflatable escape slide, could be attributed to a willingness to elevate pragmatism above aesthetic or cultural beauty. Had the inventors worried more about the look of things, perhaps none would have been invented. Grinding stones – Excavations of Cuddle Springs in north central NSW has found evidence of grinding stones dating back 30,000 years. These predate all other grinding stones around the world by 20,000 years. The rudder – Rudders provide the means to steer boats in a straight line, particularly in adverse environmental conditions. Ancient Egyptians had a form of a rudder, which was a long paddle hang over one side. It is believed that Ancient Romans and Chinese invented the first stern mounted rudder in the 1st century AD. The Bradshaw paintings (Gwion Gwion) on the walls of the Kimberly, indicate that ancient Australians used stern mounted rudders more than 17,500 years ago. Could it be a rudder 16,000 years before rudders were believed to have been invented? Boomerangs – A boomerang is a hunting tool that is constructed as a flat aerofoil designed to spin about an axis perpendicular to the direction of its flight. It allows the hunter to throw a very heavy stick with great accuracy and sufficient power to break the legs of a kangaroo and neck of an emu. Cave paintings in the Kimberly indicate that boomerangs had developed a ceremonial funciton at least 17,500 years. Didgeridoo – The didgeridoo was traditionally made out of Eucalyptus branch, which was then buried near a termite mound to produce a long hollow piece of wood that can be used a musical and instrument. Woomera – The woomera is a type of spear thrower, which acts as an extension of the human arm. The extra energy gained from the woomera's use has been calculated as four times that from a compound bow. 1838 Pre-paid postage - Although he might not be remembered fondly by stamp collectors, the colonial Postmaster-General of New South Wales, James Raymond, introduced the world's first pre-paid postal system and spared many customers the need to lick glue for adhesive of stamps. 1843 Grain stripper - John Ridley and John Bull of South Australia developed the world's first grain stripper that cut the crop then removed and placed the grain into bins. 1856 Refrigerator - Using the principal of vapour compression, James Harrison produced the world's first practical refrigerator. He was commissioned by a brewery to build a machine that cooled beer. 1874 The underwater torpedo - Invented by Louis Brennan, the torpedo had two propellers, rotated by wires, which were attached to winding engines on the shore station. By varying the speed at which the two wires were extracted, the torpedo could be steered to the left or right by an operator on the shore. 1876 Stump jump plough- Robert and Clarence Bowyer Smith developed a plough which could jump over stumps and stones, enabling newly-cleared land to be cultivated. 1885 Telpahane - The forerunner of the television. It was invented by Henry Sutton in Ballarat. 1877 Mechanical clippers -Shearing is a backbreaking job but it was even more back breaking when sheep were sheared using scissors. Frederick York Wolseley succeeded in developing a practical hand piece with a comb and reciprocating cutter driven by power transmitted from a stationary engine. The invention greatly increased the profitability of the wool industry. 1879 Ship refrigeration - Credited with the manufacture of the first artificial ice, Eugene Nicolle and Thomas Sutcliffe Mort developed shipboard refrigeration that resulted in the export of meat from Australia to Great Britain. 1889 Electric Drill - Arthur James Arnot patented the world's first electric drill on 20 August 1889 while he was an employee of the Union Electric Company in Melbourne. He designed it primarily to drill rock and to dig coal. 1894 First powered flight - Perhaps inspired by the boomerang, Lawrence Hargrave discovered that curved surfaces lift more than flat ones. He subsequently built the world's first box-kite, hitched four together, added an engine and flew five metres. Hargrave corresponded freely with other aviation pioneers, including the Wright Brothers, but unlike the Americans who monopolised their ideas, Hargrave never patented his. Because it promised public access, Hargrave left all his research to the Munich Museum. Had Hargrave gained local support to further develop his ideas and not been so generous in sharing his ideas with other aviation pioneers, he probably would have been the first person in the world to achieve sustained and controlled powered flight. 1897 Differential gears - David Shearer of South Australia built a steam car with a differential inside left rear wheel hub. 1902 Notepad -For 500 years, paper had been supplied in loose sheets. J A Birchall decided that it would be a good idea to cut the sheets into half, back them with cardboard and glue them together at the top. 1903 Froth flotation process- The process of separating minerals from rock by flotation was developed by Charles Potter and Guillaume Delprat of New South Wales. 1906 Feature film - The world's first feature length film, The Story of the Kelly Gang, was a little over an hour long. 1906 Surf life-saving reel - The first surf life-saving reel in the world was demonstrated at Bondi Beach on 23 December 1906 by its designer Lester Ormsby. 1910 Humespun process -The Humespun process was developed by Walter Hume of Humes Ltd for making concrete pipes of high strength and low permeability. The process revolutionised pipe manufacture in 1910 and has since been used around the world. 1912 The tank - A South Australian named Lance de Mole submitted a proposal, to the British War Office, for a 'chain-rail vehicle which could be easily steered and carry heavy loads over rough ground and trenches'. 1913 Automatic totalisator -The world's first automatic totalisator for calculating horse-racing bets was made by Sir George Julius. 1917 Aspro - A pain reliever based on aspirin was developed in Melbourne by George Nicholas. By 1940 it had become the world's most widely used headache and pain treatment. 1922 Vegemite - One of the world's richest sources of vitamin B, vegemite was invented by Dr. Cyril P. Callister. It is made by the autolysis of expired brewer's yeast: a process where the yeast's own enzymes break it down. 1924 Car radio - The first car radio was fitted to an Australian car built by Kellys Motors in New South Wales. 1927 Speedo -In 1927 Speedo launched the revolutionary 'racer-back' style, which reduced fabric drag. In 1955, Speedo introduced the use of nylon for their racing swimwear. At the 1968, 1972 and 1976 Olympics, more than 70 per cent of all swimming medals were won by competitors wearing Speedo. 1928 Flying Doctor Service - Reverend John Flynn founded the world's first Aerial Medical Service in 1928. 1930s - Nuclear Fusion - In the early 20th century, Mark Oliphant worked on the artificial disintegration of the atomic nucleus and positive ions, and designed complex particle accelerators. He discovered helium 3 and tritium, and also discovered that heavy hydrogen nuclei could be made to react with each other. This fusion reaction formed the basis of a hydrogen bomb. 1934 Ute- The utility vehicle, with a front like a car and a rear like a truck was designed by Lewis Brandt at the Ford Motor Company in Geelong, Victoria. 1940 Zinc Cream - This white sun block made from zinc oxide was developed by the Fauldings pharmaceutical company. 1942 Transverse folding stroller - Designed by Harold Cornish, the sturdy, lightweight design of his Stoway Strollers made life easier for many parents using public transport as it could be folded and placed under a tram seat. 1944 Antibiotic penicillin- Produced by Howard Florey with help from an Englishman named Ernst Chain. 1945 The Hills Hoist - A rotary clothes line with a winding mechanism allowing the frame to be lowered and raised with ease. Invented by Lance Hill. 1952 Victor mower - by Mervyn Victor Richardson, the two-stroke petrol lawn mower with rotary blades revolutionised mowing world wide. 1950s Lagerphone- The lagerphone is a musical instrument made by nailing beer caps onto a stick. It is not known who invented it, but in the 50s it was popularised by the Heathcote Bushwackers as an alternative to the American wobbleboard. 1950s Distance Measuring Equipment - Every airliner in the world uses a piece of navigation equipment called DME, or Distance Measuring Equipment. 1952 Atomic absorption spectrophotometer -Atomic absorption spectrophotometer is a complex analytical instrument incorporating micro-computer electronics and precision optics and mechanics, used in chemical analysis to determine low concentrations of metals in a wide variety of substances. It was first developed by Sir Alan Walsh of the CSIRO. 1953 Solar hot water - Developed by R N Morse at the CSIRO . 1957 Flame ionisation detector -The flame ionisation detector is one of the most accurate instruments ever developed for the detection of emissions. It was invented by Ian McWilliam. The instrument, which can measure one part in 10 million, has been used in chemical analysis in the petrochemical industry, medical and biochemical research, and in the monitoring of the environment. 1957 Trousers with a permeant crease - The process for producing permanently creased fabric was invented by Dr Arthur Farnworth of the CSIRO. 1958 Black box flight recorder - The 'black box' voice and instrument data recorder was invented by Dr David Warren in Melbourne. 1960 Plastic spectacle lenses - The world's first plastic spectacle lenses, 60 per cent lighter than glass lenses, were designed by Scientific Optical Laboratories. 1961 Ultrasound - David Robinson and George Kossoff's work at the Australian Department of Health, resulted in the first commercially practical water path ultrasonic scanner in 1961. 1965 Inflatable escape slide - The inflatable aircraft escape slide which doubles as a raft was invented by Jack Grant of Qantas. 1965 Wine cask -Invented by Thomas Angrove, the wine cask is a cardboard box housing a plastic container which collapses as the wine is drawn off, thus preventing contact with air. 1970 Variable rack and pinion steering - The variable ratio rack and pinion steering in motor vehicles was invented by Australian engineer, Arthur Bishop. 1970 Staysharp knife- The self-sharpening knife was developed by Wiltshire. 1972- Instream analysis - To speed-up analysis of metals during the recovery process, which used to take up to 24 hours, Amdel Limited developed an on-the-spot analysis equipment called the In-Stream Analysis System, for the processing of copper, zinc, lead and platinum - and the washing of coal. This computerised system allowed continuous analysis of key metals and meant greater productivity for the mineral industry worldwide. 1972 Powerboard – The powerboard allows multiple electrical devices to be powered where only a single wall socket is available. It was invented by Frank Bannigan at Kambrook. 1974 Super Sopper – During the Australian summer, no many days of cricket are lost to rain but for Gordon Withnall, even one minute lost was one minute too many. Consequently, he invented the Super Sopper, a giant rolling sponge used to quickly soak up water from sporting grounds so that play could continue. 1978 Plastic injection moulding software -Engineers at Moldflow Pty Ltd revolutionised the plastic injection process with a new computer aided engineering software, that simulated the injection moulding process and offered a design strategy to evaluate, refine and optimise successive simulations. The technique has been used widely in the automotive, whitegoods, computer, packaging, communications, aeronautical and photographic industries. 1979 Bionic ear - The cochlear implant was invented by Professor Graeme Clark of the University of Melbourne. 1982 The dual flush toilet - As dunnies have a celebrated status in Australia, it is apt that Australia has taken a central role in their evolution. In 1982, the dual flush toilet was responsible for savings in excess of 32000 litres of water per household a year. Pretty important in the world's dries inhabited continent. 1980 Wave-piercing catamarans - The high speed catamarans were developed by Phillip Hercus and Robert Clifford of Incat in Tasmania. 1983 Winged Keel - Ben Lexen designed a winged keel that helped Australia II end the American's 132 ownership of the America's cup. The keel gave the yacht better steering and manoeuvrability in heavy winds. 1984 Baby Safety Capsule - Babies in a car crash used to bounce around like a soccer ball. In 1984, for the first time babies had a harness for their safe transportation in cars. 1986 Gene shears - The discovery of gene shears was made by CSIRO scientists, Wayne Gerlach and Jim Haseloff. 1988 Plastic polymer bank notes -Traditionally, paper money has been made out of a kind of cloth that is neither very durable and relatively easy to counterfeit. In 1988, CSIRO scientists led by Dr. David Solomon. Securency Pty Ltd, a joint venture between the Reserve Bank of Australia (RBA) and UCB, brought the note into full production and polymer bank notes. The chief advantages are high counterfeiting resistance and longer circulation lifetimes. 1992 Multi-focal contact lens- The world's first multi-focal contact lens was invented by optical research scientist, Stephen Newman in Queensland. 1992 Supersonic combustion - The University of Queensland demonstrated the world's first supersonic combustion in an atmospheric flight test at Woomera on July 30, 2002. The craft reached speeds of more than Mach 8, or 8 times the speed of sound. 1992 Spray on skin – Research has found that major scarring of burns victims could be reduced if replacement skin could be provided within 10 days of the burn. Unfortunately, traditional skin culturing techniques took around 21 days to produce enough cells to cover major wounds. Spray on skin is a skin culturing treatment developed by scientist Marie Stoner and plastic surgeon Dr Fiona Wood that reduced the culturing period to five days. 1993 Scramjet - The University of Queensland reported for the first time the development of a scramjet that achieved more thrust than drag. 1993 Underwater pc - The world's first underwater computer with a five-button hand-held keypad was developed by Bruce Macdonald at the Australian Institute of Marine Science. 1995 EXELGRAM - The world's most sophisticated optical anti-counterfeiting technology was developed by the CSIRO. 1995 - Jindalee Radar System - The United States of America spent $11 billion developing an aeroplane that could not be detected by radar. Scientists at the CSIRO then concluded that if the plane could not be detected, perhaps the turbulance it makes passing through air could be. $1.5 million later, the Jindalee Radar system had transformed the stealth bomber into nothing more than an unusual looking aircraft. 1996 - Hi-Speed Wi-Fi - During the 1990s, around 22 of the world’s computer firms were researching wi-fi as a way of connecting mobile phones and laptops to a wireless network. Wi-fi technology existed, but it was too slow to connect to the Internet. The CSIRO decided it could make use of the Fast Fourier Transform Chip, invented by Australian Dr John O’ Sullivan in the 1980s. 2002 - Hyshot Scramjet Engine - One day, it is theorised that scramjets will allow people to fly from Sydney to London in less than an hour. Presently, no planes fitted with scram jet engines exist, but in 2002, the University of Queensland staged the first successful test of a very high speed air-breathing jet engine and thus showed the scramjets are possible. In June 2007, it was successfully used to boost a test vehicle to hypersonic speeds.